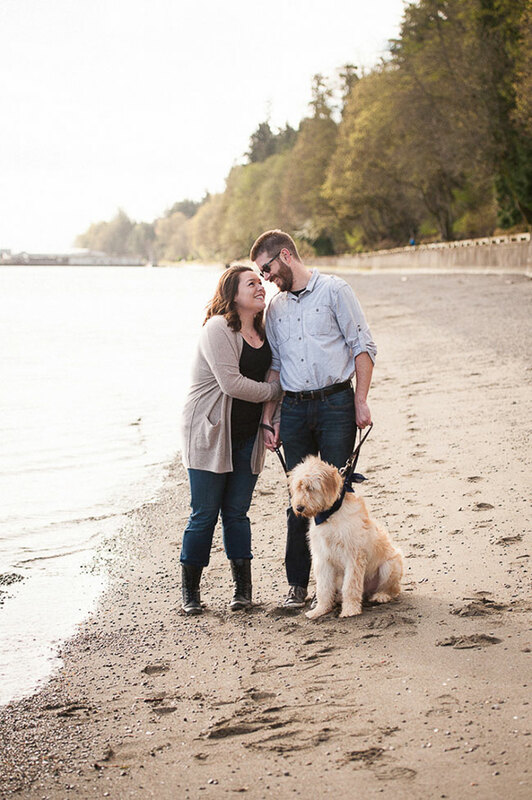 As a furry baby owner myself, I know the deep desire to want to have your cuddle buds as a part of the bigger moments in your life. 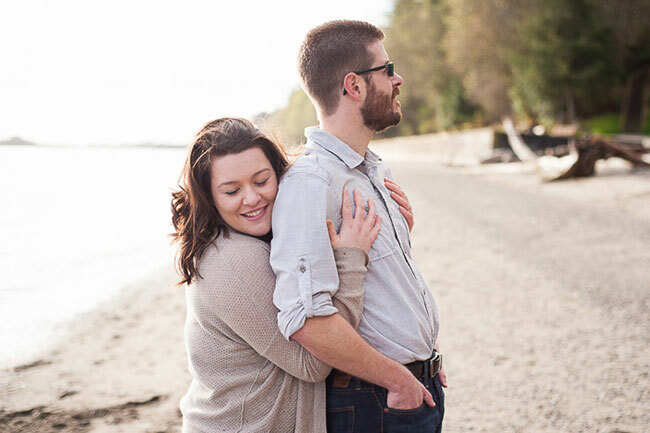 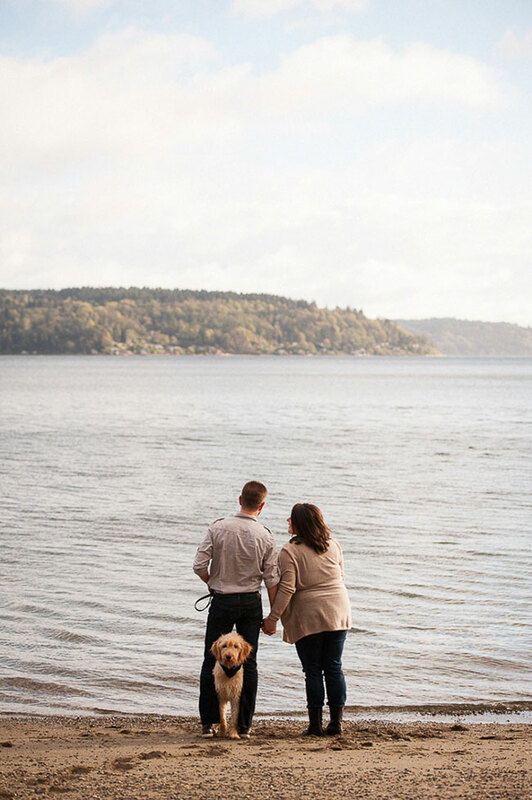 When Meghan & Scott teamed up with Washington wedding photographer Autumn L. Rudolph Photography, the conversation immediately went to what kinds of great engagement session ideas they could do that would involve the couple’s adorable 7 month old puppy, Jerry. 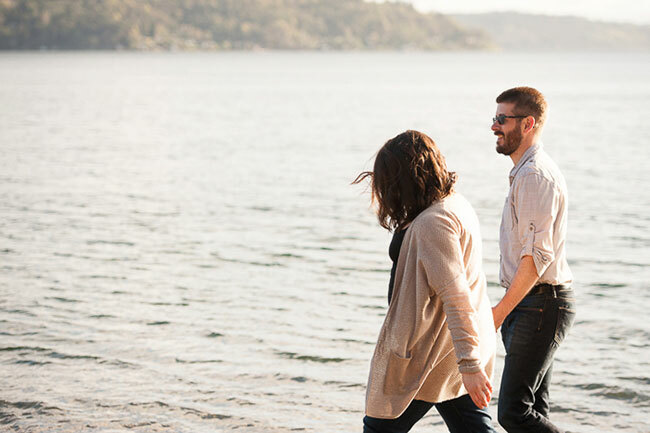 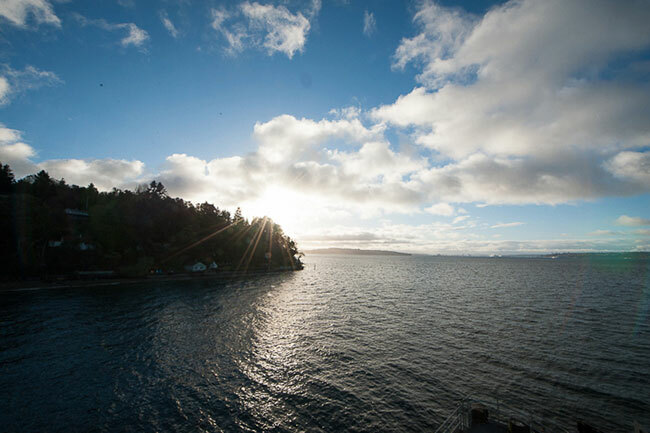 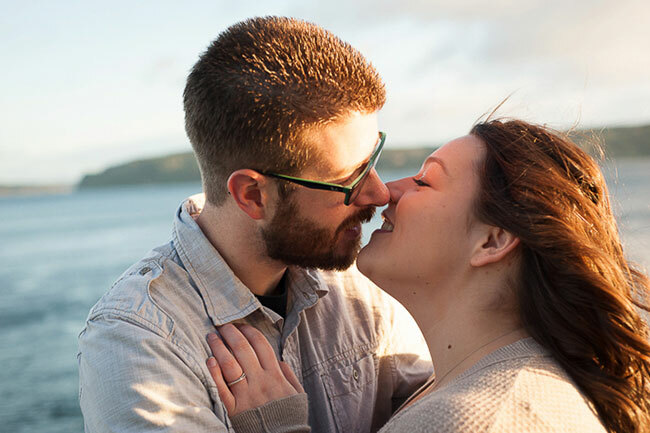 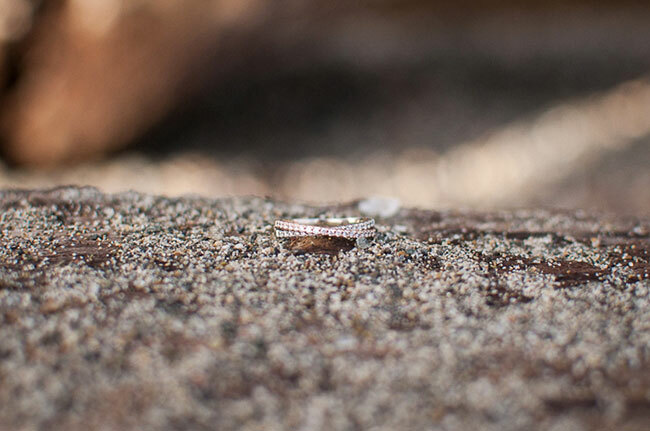 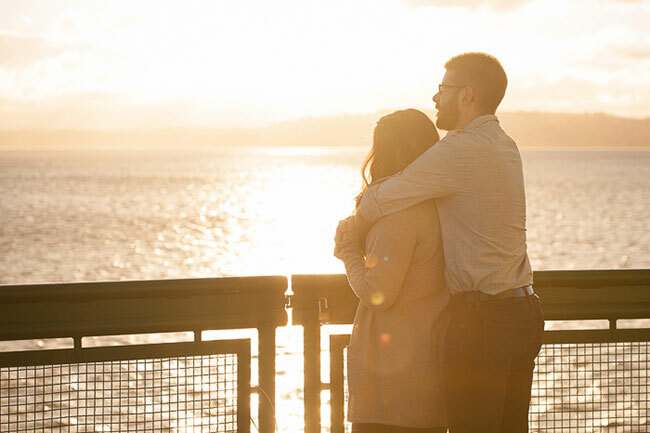 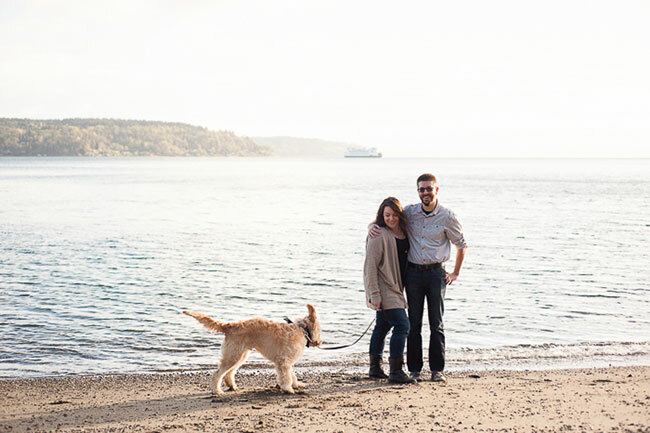 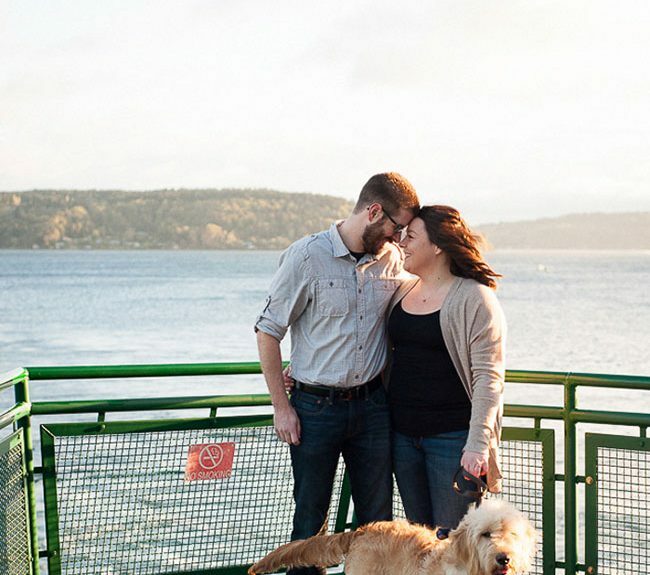 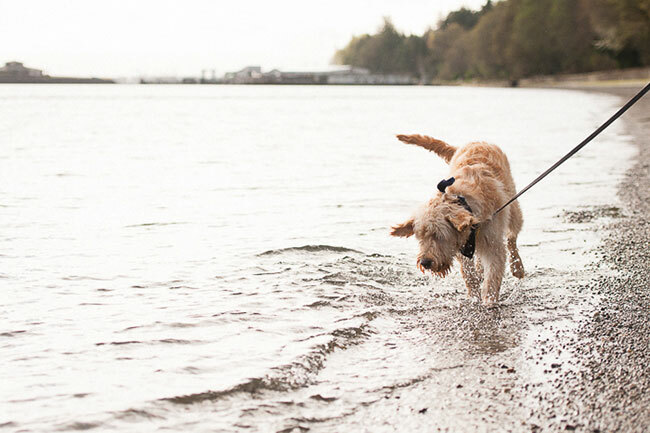 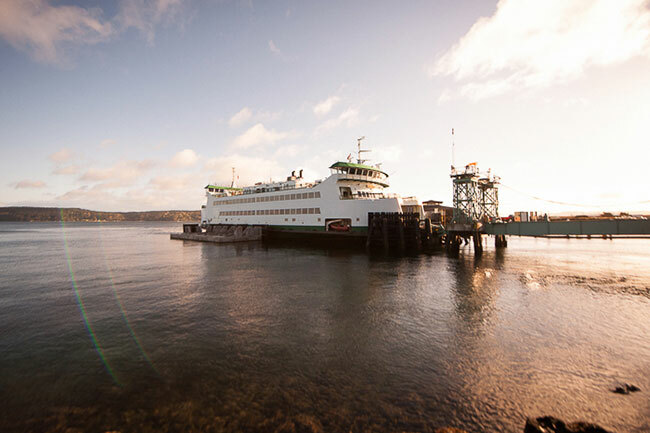 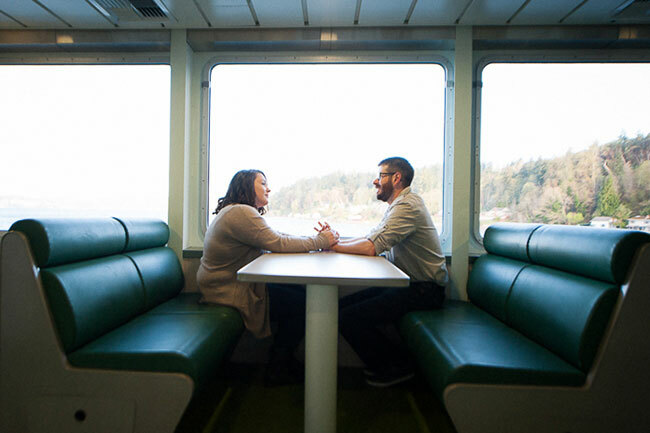 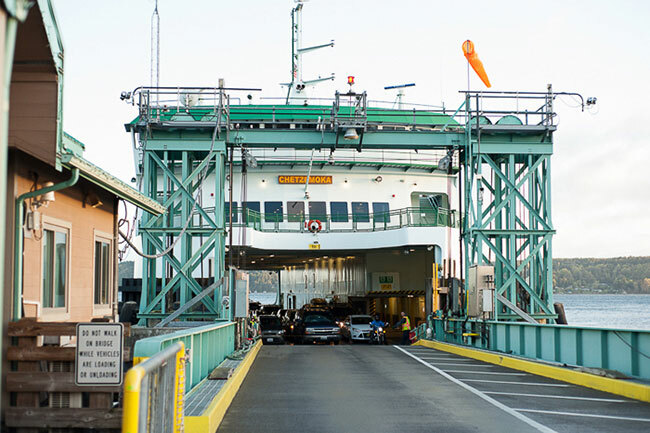 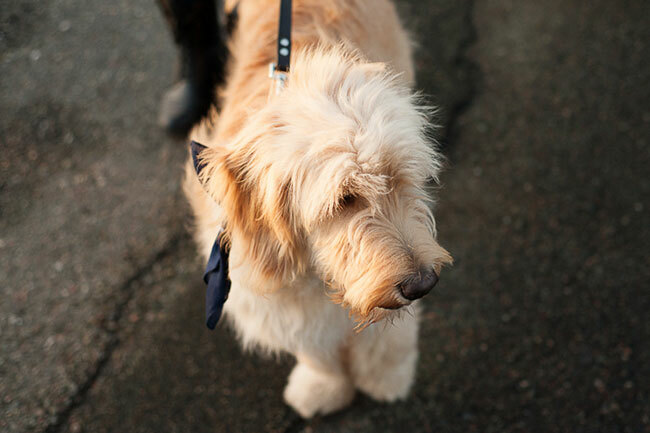 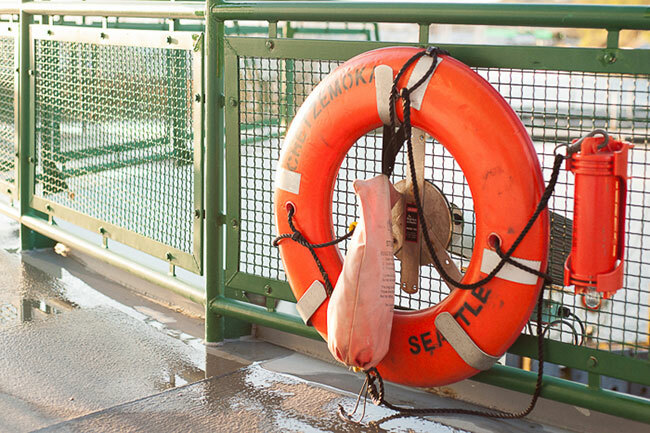 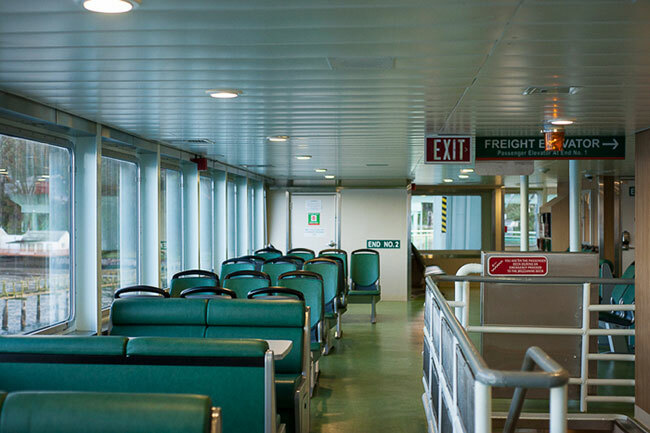 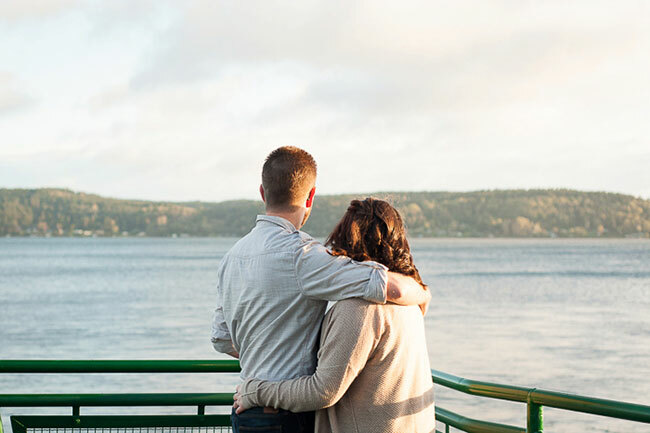 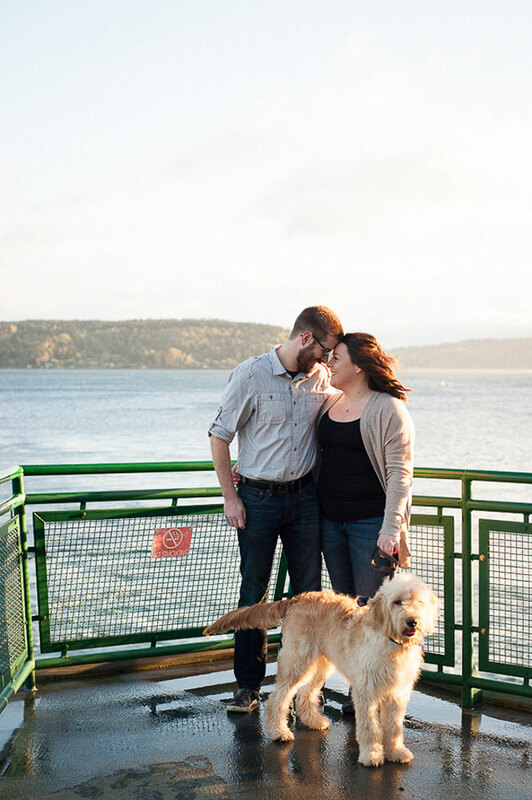 After a bit of searching through dog friendly ideas, the trio landed on the most perfect pacific northwest of ideas, a ferry engagement session on the Point Defiance Ferry! 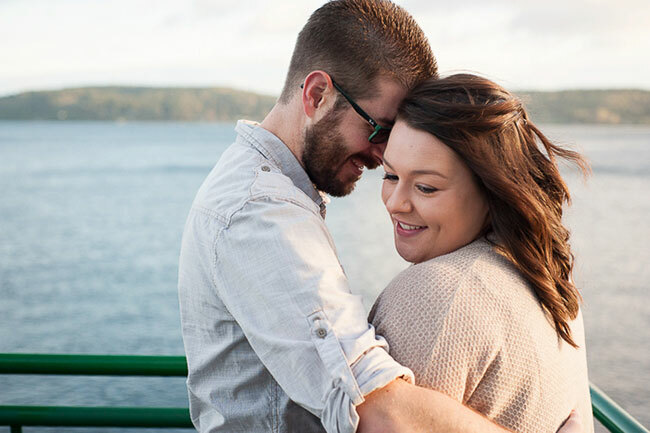 Having rained the night before, the trio set out for a gorgeously moody sunrise ferry ride which ended up the perfect choice, resulting in an empty vessel making for the perfect ferry engagement session. 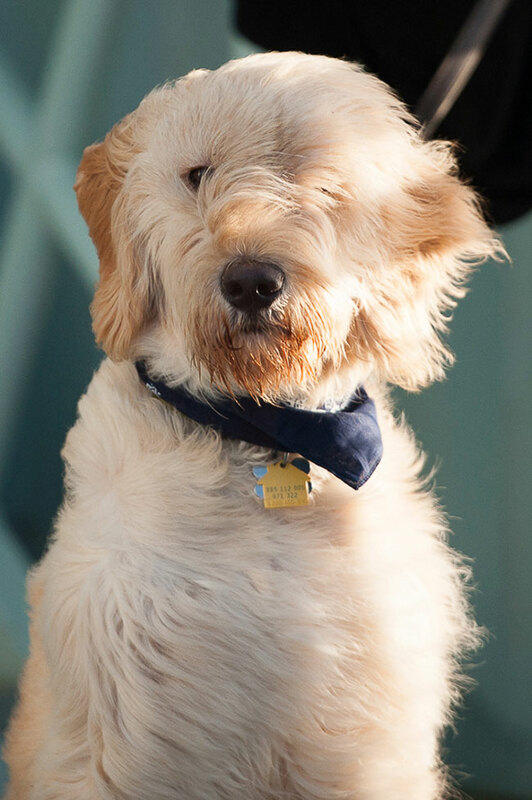 While we’re typically captivated by the wind swept hair of the flowing female locks, its Jerry who completely wins in that area, hands down! 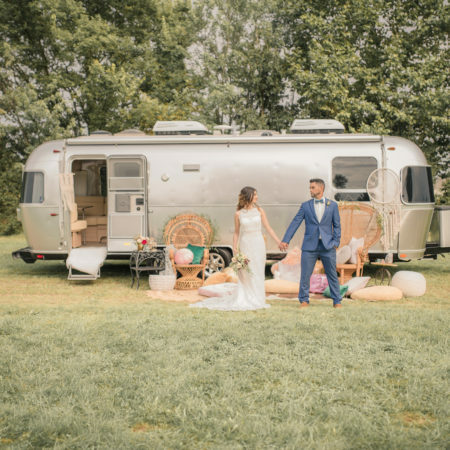 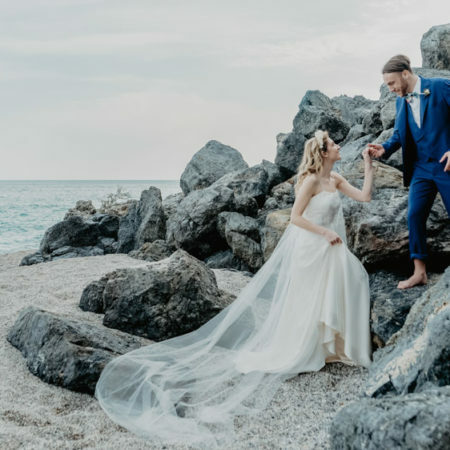 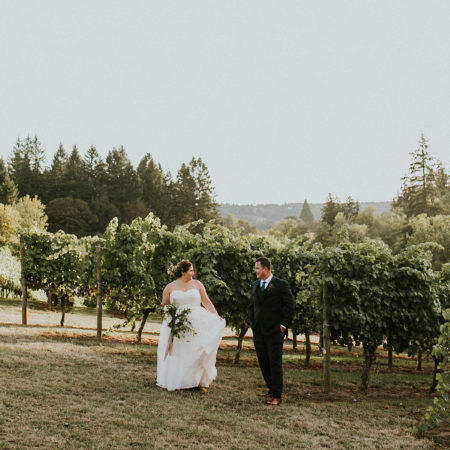 There is a super sweet connection between Meghan & Scott that is easily readable and wonderfully cozy, and I love how Autumn L. Rudolph Photography brought it all to life!